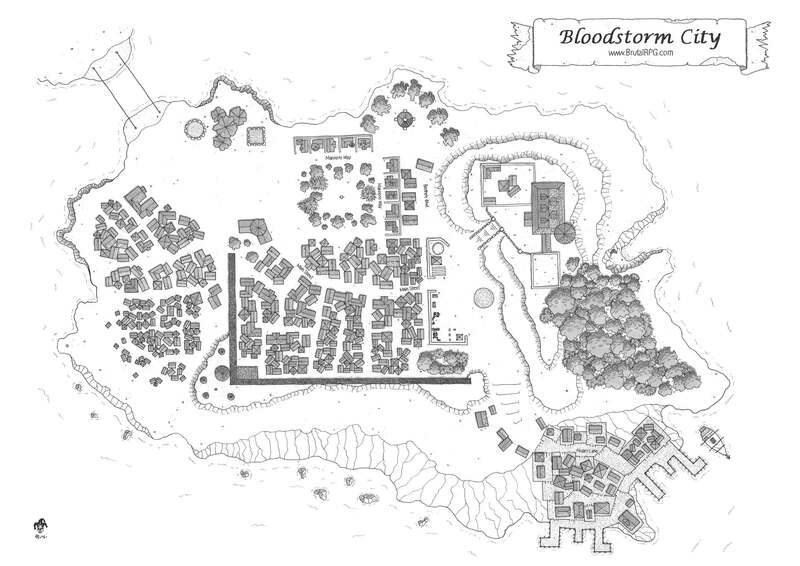 The town of Bloodstorm is governed by a vampire queen who has concluded trade deals with the king of pirates. The city was built on the now-buried ruins of Bloodstorm Castle, a mighty fortress built by the Viking dwarfs who once reigned in these lands before their mighty fortress began to crumble and collapse into the natural caves below. The dwarves had conquered the people of Dragon’s Reach and amassed a vast number of treasures under vaulted secret rooms. Most of these hiding places have still not been discovered, probably still protected by complicated locks and ingenious dwarf traps. After the fall of the Dwarves, a new city was built and its new inhabitants ignored the old legends. The people of the city are busy working to entertain the pirates and repair their ships in exchange for tools, clothing, food and spices they desperately need, while ignoring all the riches that lie somewhere under their feet.